EVERYMAN is gifted for something. Education will never make you wealthy; education will only give you a platform to express your gift. Real wealth lies not in your job but in your gifts! Rudolf and Adolph Dassler started making sport wears from their mother’s kitchen and eventually the 1936 summer Olympics in Berlin, Germany gave them a platform to equip Jesse Owens of USA with their wears. Jesse Owen ended up winning four Gold medals in the year he wore Dassler’s ‘magic’ shoes which later became a brand called Adidas. When Dassler was asked the meaning and origin of the brand name ADIDAS; he gave a shocking revelation about a unique dream and gift that he has always longed to express: A- ALL, D- DAY, I- I, D- DREAM, A- ABOUT, S- SPORT. Discovering and nurturing your gift is a sacred duty that must be fulfilled at all cost. Marie Curie said: ‘‘We must believe that we are gifted for something, and that this thing, at whatever cost, must be attained.’’ One of the most amazing stories about gifts and their impact is the story of a woman who found a place for herself on the Nigerian 20 Naira note. 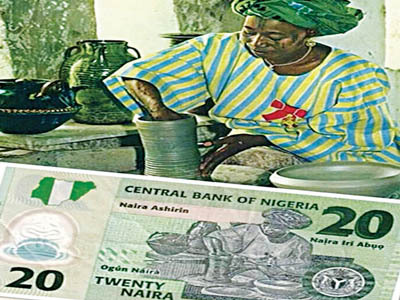 The Nigerian Naira note has always been decorated with the faces of past heroes and former presidents; nobody ever thought that a village woman “armed” only with a special gift for pottery would find a place where only kings dwell! Ladi Kwali is the first and only woman to appear in Nigeria currency: her portrait is on the back of the Nigerian 20 Naira note. Kwali is the woman who changed the face of pottery in Nigeria and heralded the face of modern pottery through her special gift and dexterity in the act of pottery. She was born in the village of Kwali in the Gwari region of Northern Nigeria (the present Federal Capital Territory, Abuja), where pottery was a common occupation among women. Kwali didn’t only see pottery as a casual occupation but a sacred and special gift that was meant to impact the world. Her pots were noted for their beauty of form and decoration. The impact of her gift became widespread and reached the King’s Palace. Kwali took her time in making her design and they stood out because of their beauty and exquisite charm. The Emir of Abuja at the time was so enchanted by her work that he bought many of her pieces for his collection. Some of those acquired by the Emir were seen by Michael Cardew in 1950. Through Kwali’s contact with Cardew, she and her work became known in Europe and America. She became known in most countries of the British Empire and she was made a member of the Most Excellent Order of the British Empire (MBE) in 1963; she was awarded an honorary degree by Ahmadu Bello University in 1977. Her pottery was also displayed during Nigeria’s independence celebration in 1960. She received a number of other honours among them the national honour of Officer of the Order of the Niger (OON) in 1981. The Abuja Training Pottery Centre was renamed the Ladi Kwali Pottery Centre. Roads in Abuja and Niger State are named after her. Kwali died on August 12, 1984 at the age of 59 in Minna. Although married, she did not have any children, but she left a rich legacy in her work. For Kwali, her gift brought her before the Queen of England and got streets and roads named in her honour. We cannot fail to remember her picture on the Nigeria 20 Naira note. Any education that does not teach us to discover and nurture our gifting and uniqueness is a waste! We must educate our youth to discover the latent gifts and potential in them instead of wasting their precious time and destiny looking for jobs that only exist in the figment of our imagination! The Nigerian Immigration Service (NIS) recruitment exercise of 2014 was a total flop, fraud and disaster. Many lives were lost when youths all over Nigeria were unnecessarily and thoughtlessly asked to file in for vacancies that barely existed! Millions of job seekers thronged various designated venues and stadia for an exercise that was symbolic with chaos, unprecedented stampede and logistic flaws. More than five million applicants that applied online were made to jostle for a paltry vacancy figure of about 5,000! The applicants bought forms for N1,000 and were required to recruitment T-shirt. Given the widespread poverty in the land it was predictable that a majority of the young men and women borrowed the money to attend the interview that was a fraud and chaos. Indeed, among the dead were expectant mothers. It was a scandal Nigeria will not forget in a hurry. 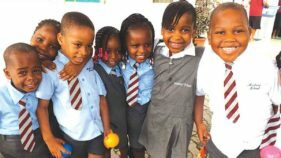 The bitter lesson from the immigration fiasco is that the Nigerian educational system has prepared us to get addicted to looking for casual jobs and we sometimes eventually end up becoming casualties! Thus, our fate lies in the Nigerian youths discovering themselves and nurturing our gifts.